An antique laundry truck on wheels with more recent script, containing a wood liner. 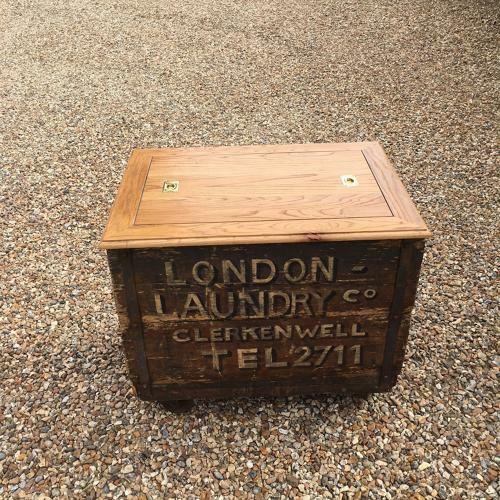 Has an oak top and removable lid/tray with brass recessed handles. Would make a great drinks cabinet!